San Antonio River Walk - Another great evening along the scenic San Antonio river walk in downtown. 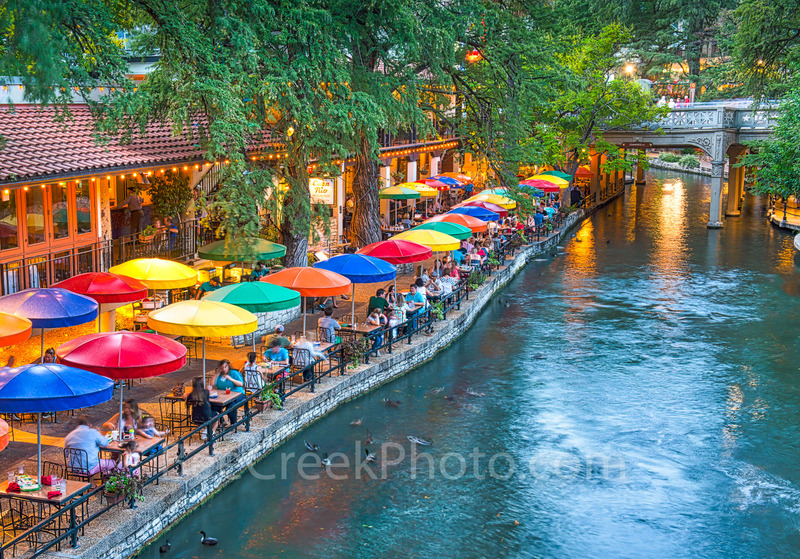 This popular tourist attraction has some wonderful places to enjoy a meal on the river or take a stroll for the several miles along this scenic site in the heart of San Antonio Texas. You can't help but love these colorful umbrellas at the Casa Rio on the river walk. The San Antonio riverwalk is one of SA top travel destination in the city. If you do not feel up to walking you can alway catch a river boat along the river walk. Always something to see or do on the riverwalk in downtown San Antonio. Photo © copyright by Bee Creek Photography - Tod Grubbs / Cynthia Hestand.